Whether you’re commuting to work or traveling cross-country, SmileDrive records your drives, awards you stickers for unique accomplishments (such as going on a holiday trip or driving on an unusually cold day), and turns road trips into shareable stories. The app can be used with any vehicle, even if it’s not a Volkswagen. ・Easily pairs with your car’s Bluetooth and runs in the background, so you don’t have to worry about activating the app every time you drive. ・You’ll get a Smile Score and drive summary at the end of each ride. The score is based on factors like location, distance, time and weather and you can get things like Stickers or Punches if you unlock achievements. ・For trips versus everyday drives, you can create a Smilecast. 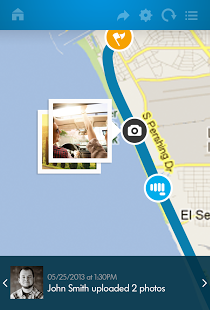 Name the trip, tag passengers and share with friends so they can see your route, photos and comments, along the way. When your trip is over, all the data is seamlessly collected into a video you can share. ・There’s also a handy Find My Car feature. Get directions to your vehicle’s last parked location. To learn more about SmileDrive, go to http://smiledrive.vw.com. * Driver should not use mobile devices while vehicle is in motion. Always pay careful attention to the road, and do not drive while distracted. 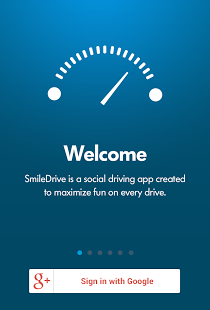 SmileDrive app requires compatible Android device. Standard data rates apply.